Being a tween is hard enough, but when you add in all the outside pressures, it can be downright suffocating. 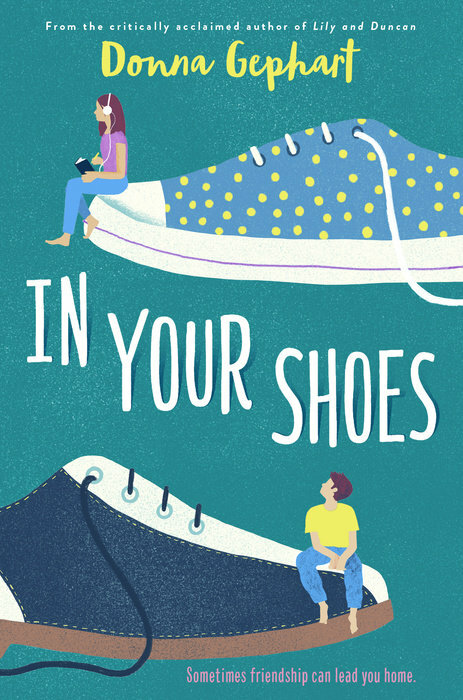 Donna Gephart explores how friendship adds balance in her latest novel for middle-graders, In Your Shoes. Then Miles and Amy meet in the most unexpected way . . . and that’s when it all begins. . . . —Synopsis provided by Delactorte Books for Young Readers. In Your Shoes is told in alternating chapters with occasional overlap, and this sort of narrative works well. It allows readers to get to know both Miles and Amy better. The book’s setting (a mix of a bowling alley, a funeral home and school) is delightfully eccentric. In Your Shoes would be a lovely addition to anyone’s bookshelf.